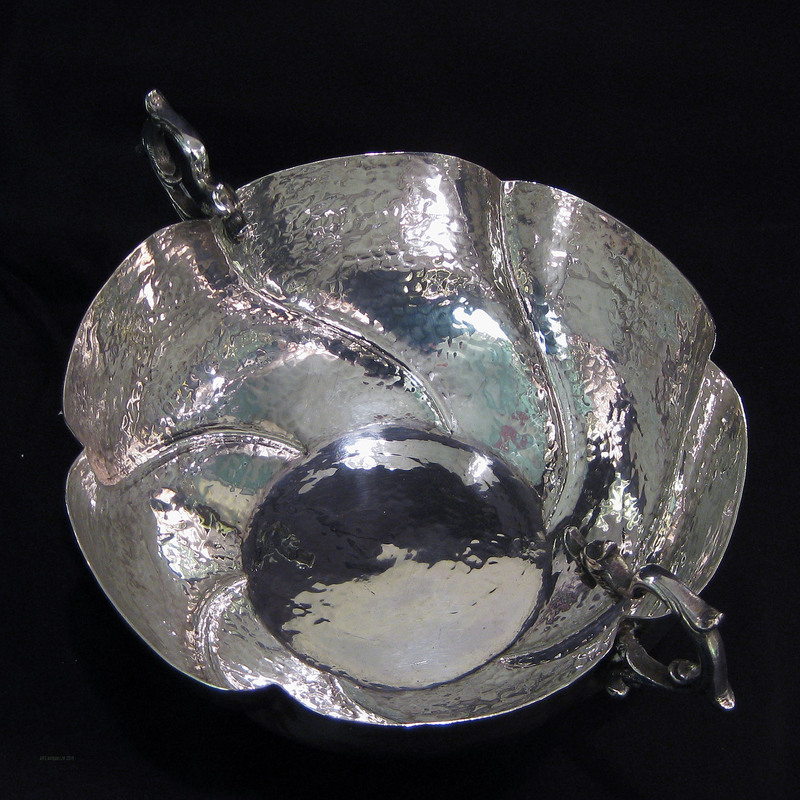 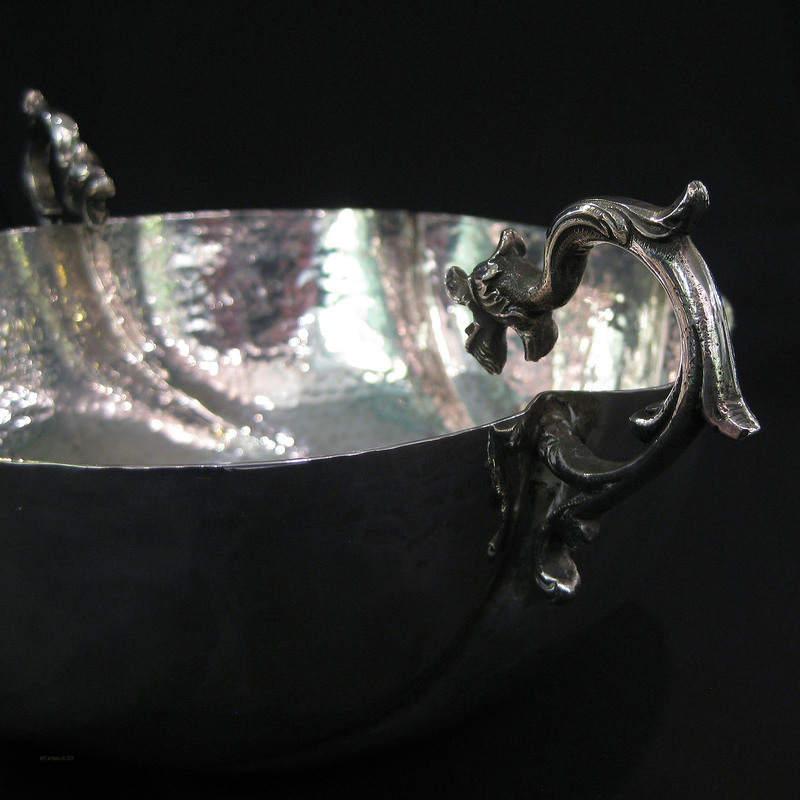 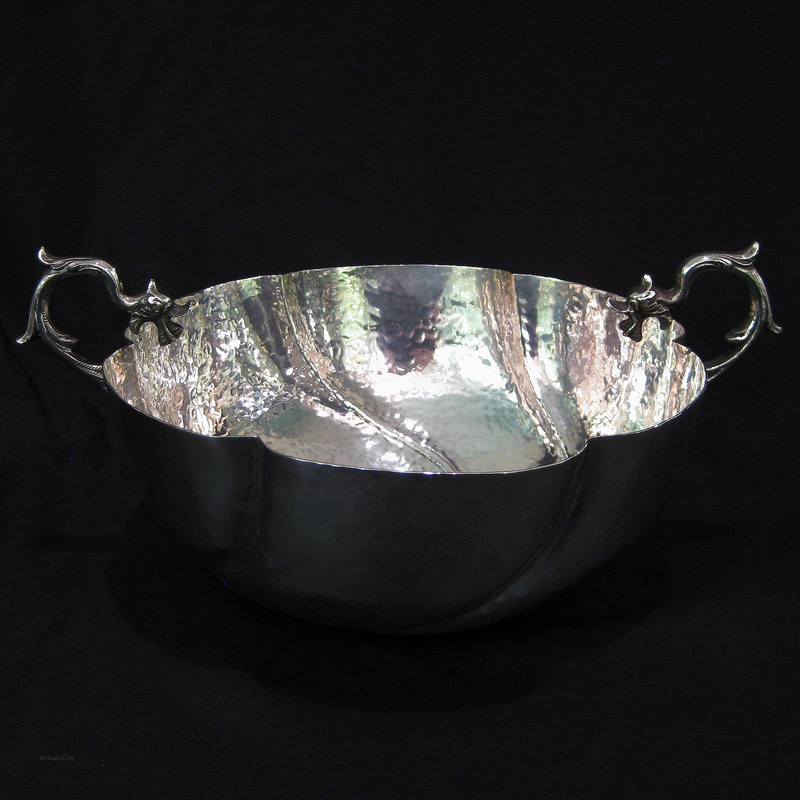 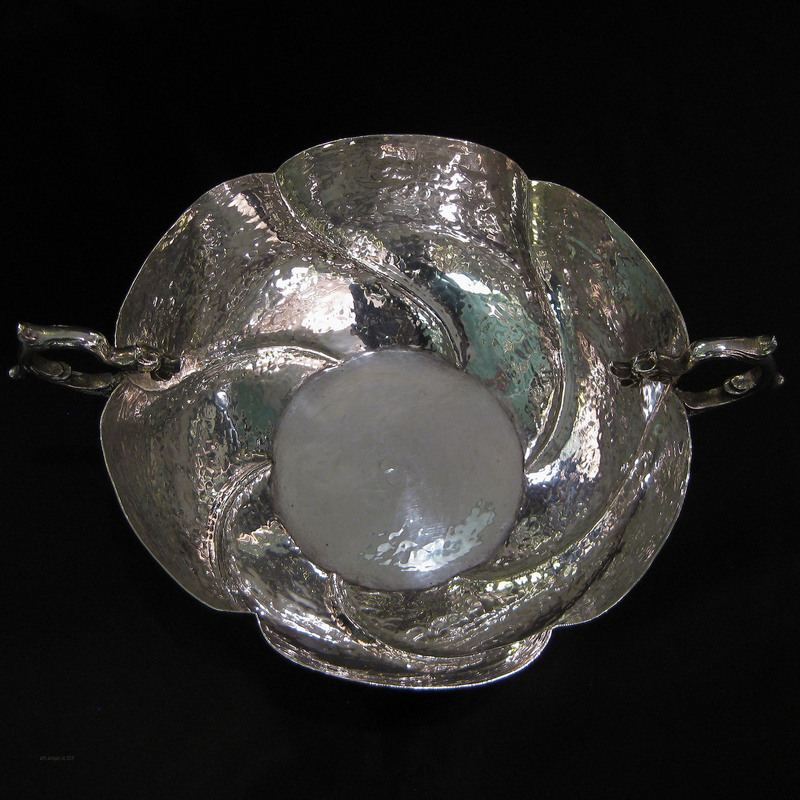 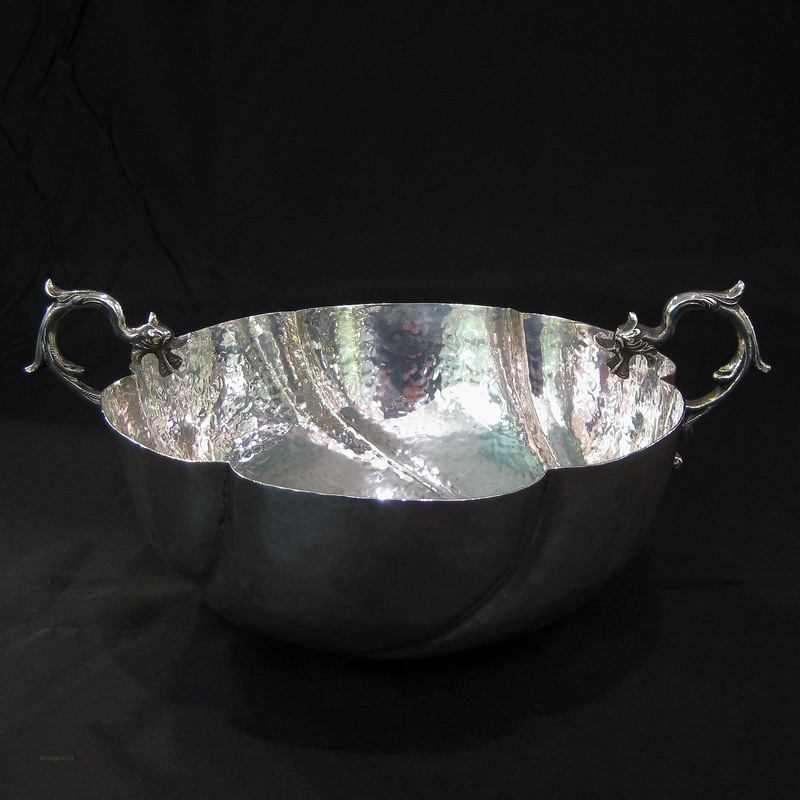 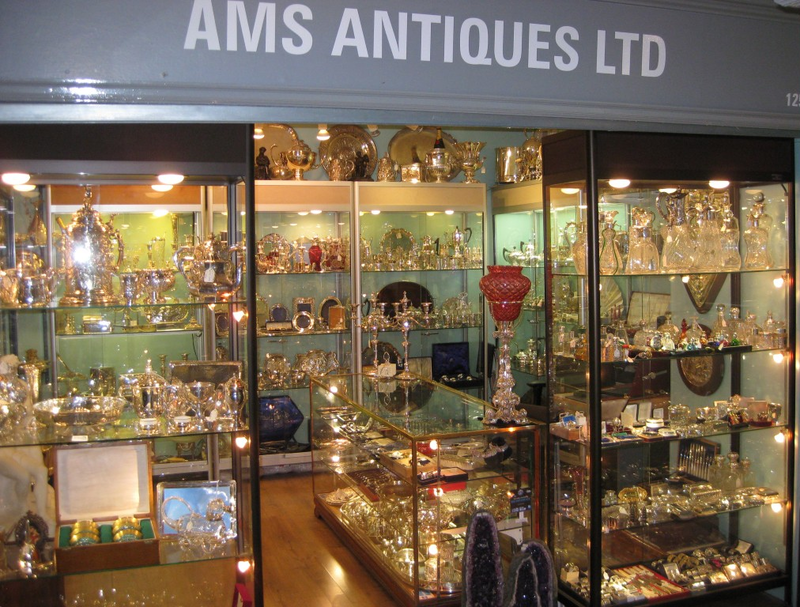 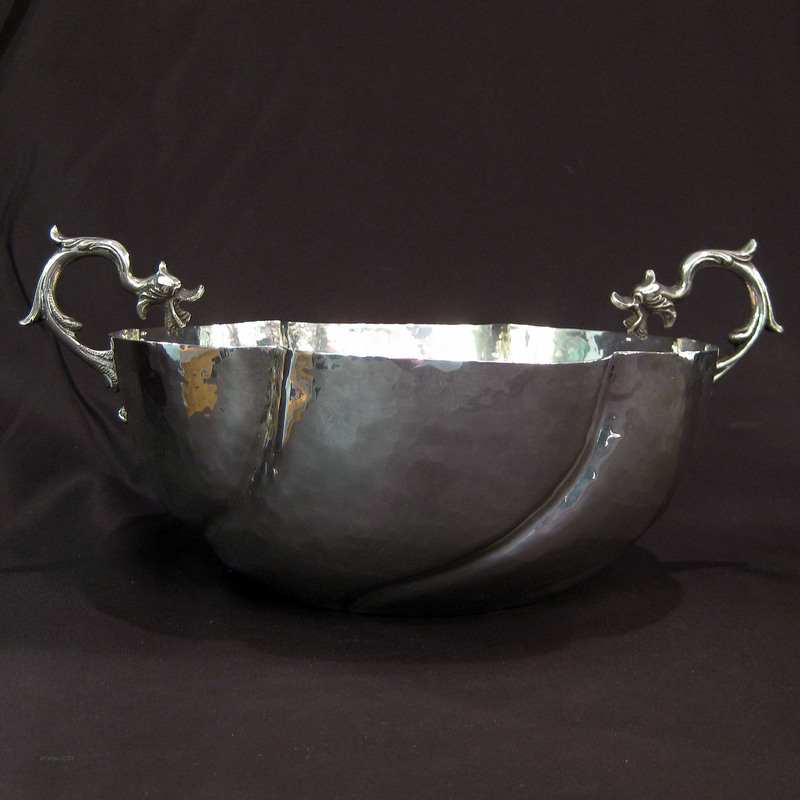 A Portuguese arts & crafts movement silver bowl. 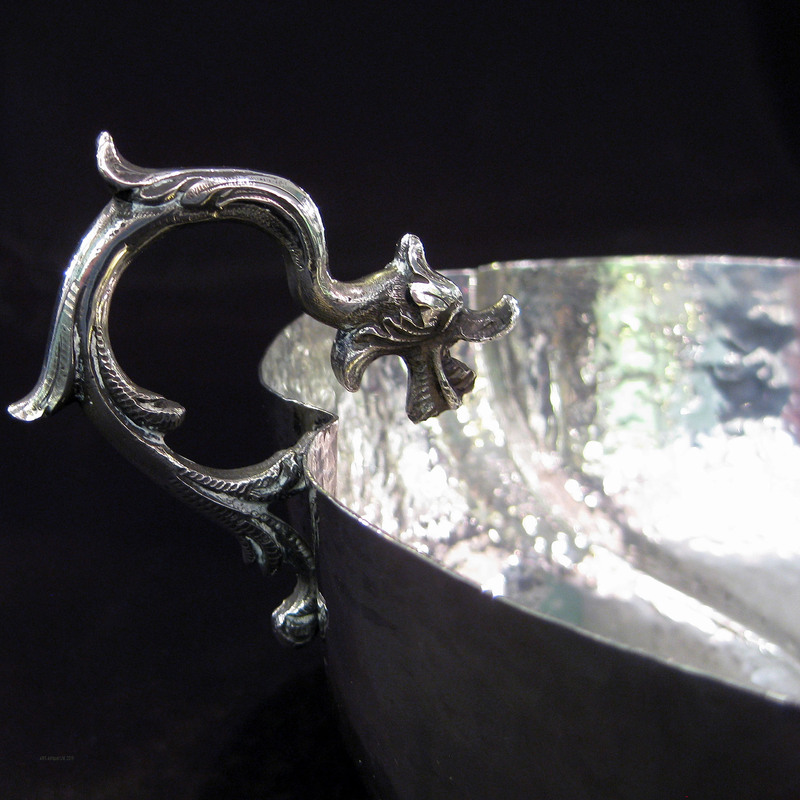 Hand shaped and crafted in 800 grade Portuguese silver with a hammer effect swirled pattern. 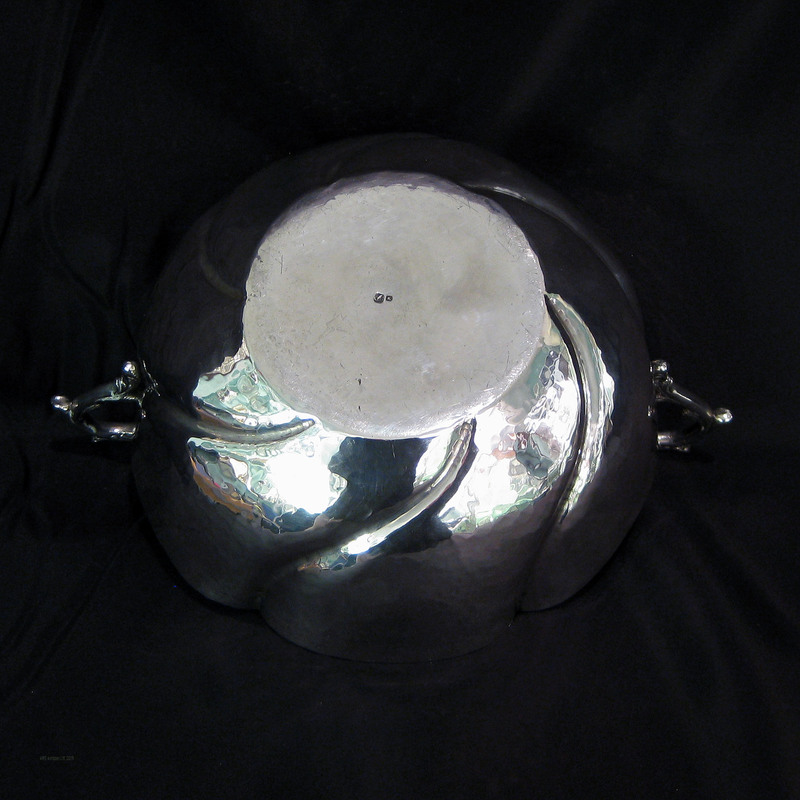 24cm wide and stands 11cm tall. 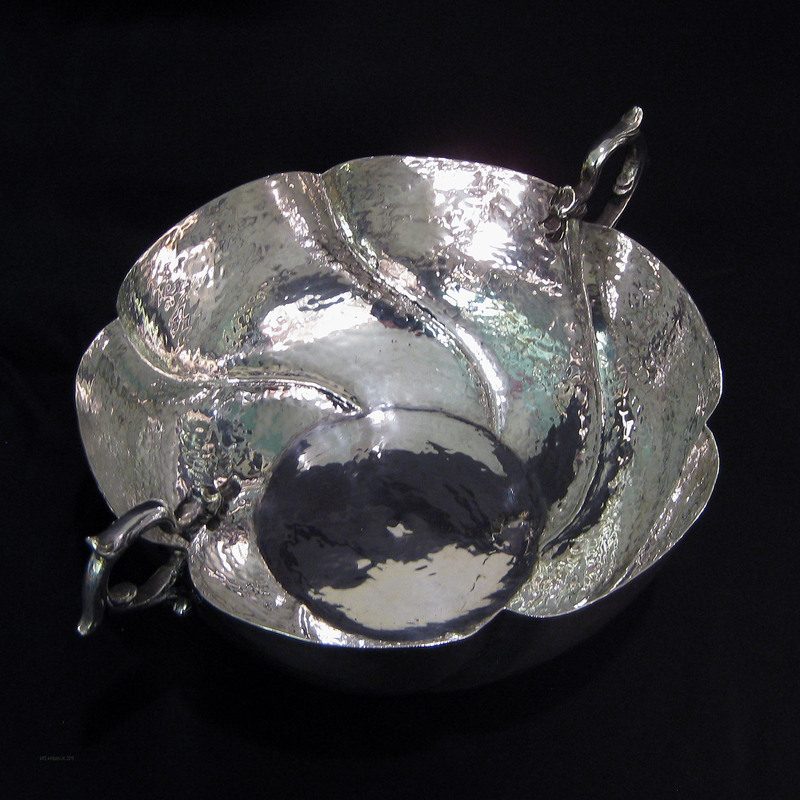 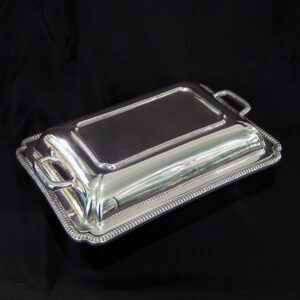 Super quality silver entrée dish.